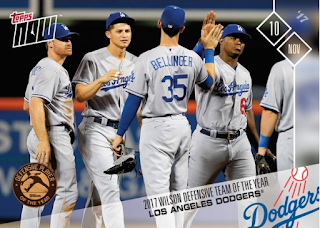 Here is another group of Topps Nows cards released over this past weekend that I failed to post about. 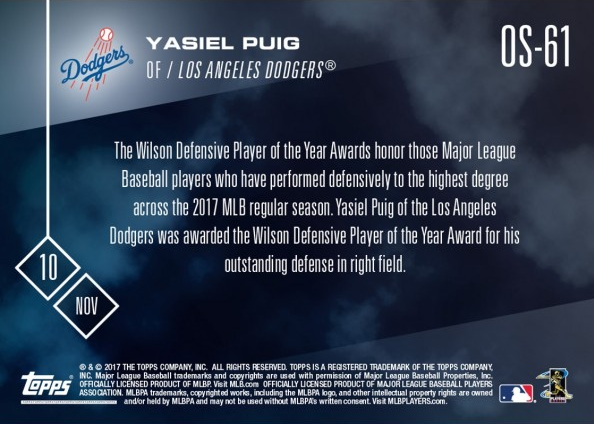 Featured are cards celebrating awards won by Yasiel Puig and the entire Dodgers team. 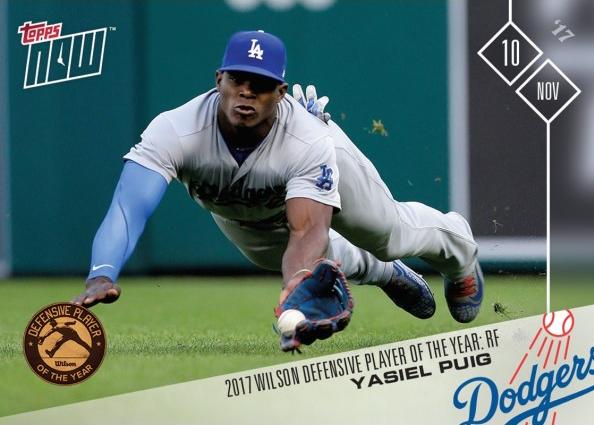 While committing just one error all year, Puig’s combination of range and arm strength made him a regular in the Dodger lineup regardless of how he was hitting during the season (though he also set career highs in home runs and RBI in 2017). 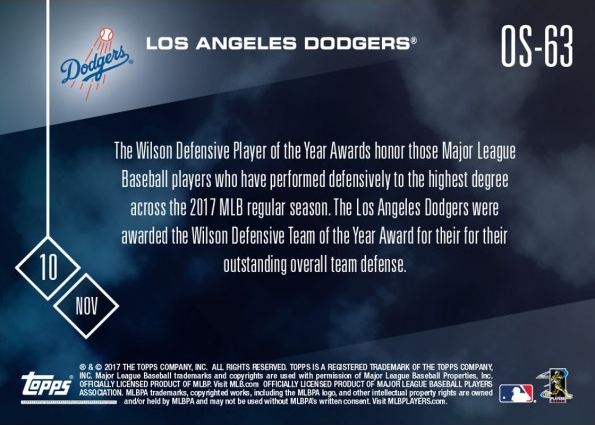 He led all National League right fielders in ultimate zone rating (UZR — 12.1) and tied Jason Heyward for the most defensive runs saved (DRS) at the position in the NL (18). He also led all NL right fielders in FanGraphs’ defensive runs above average stat, which measures a player’s defensive value relative to league average. The second card is a team honor. 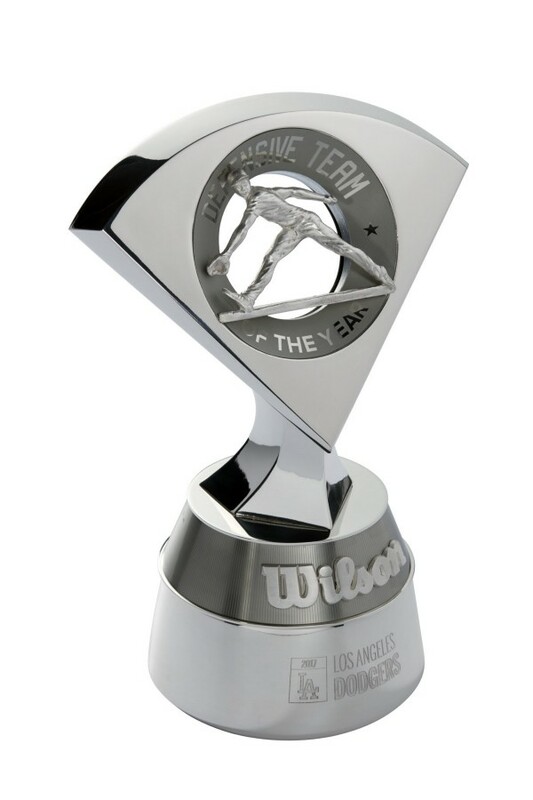 It celebrates the Dodgers very first Wilson Defensive Team of the Year Award. (Dodgers) led the National League in DRS (according to FanGraphs) and defensive efficiency ratio (according to MLB stats).